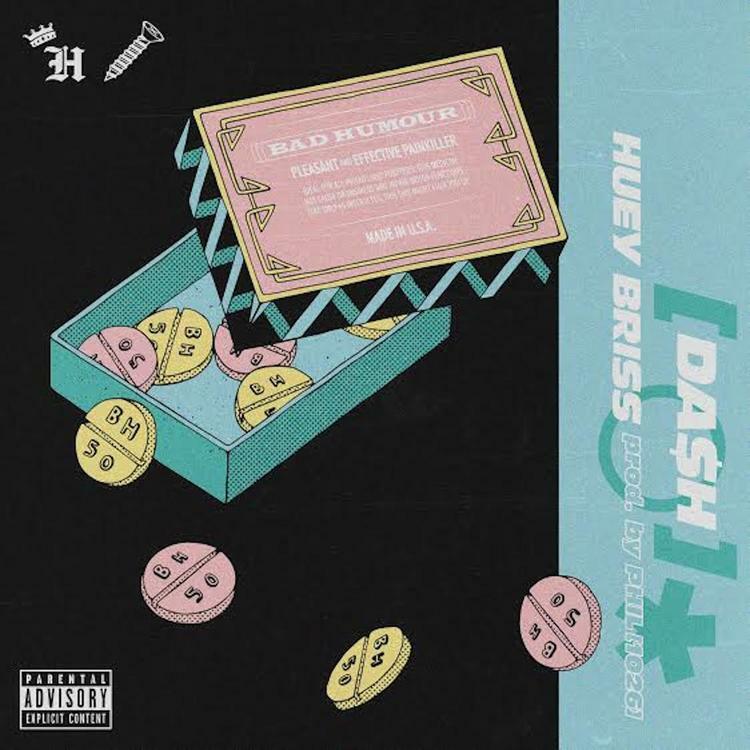 Home>New Songs>Da$h Songs> Da$h Links With Huey Briss For New Song "Bad Humor"
Da$h comes through for another Skrewsday release. Da$h has been steadily dropping new songs on a weekly basis. The rapper has always had a few "loose skrews" and he loves to play on the saying in his music, implementing a rule that on Skrewsday (Tuesday), he must drop new music. It's worked out so far because many have taken notice, realizing that the New Jersey native is still one of the best in the game. This time, he teams up with Huey Briss for a fresh track called "Bad Humor." AWGE associate Da$h has kept himself busy this year, keeping the fans updated with new material. "Bad Humor" is his latest release, showcasing his lyrical ability and dropping off plenty of memorable lines. Huey comes in for the second half of the track, clicking with some clever bars. What do you think of the latest collaboration between these two? SONGS Da$h Links With Huey Briss For New Song "Bad Humor"